Find yourself in the thick of it all. 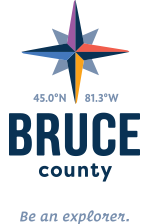 From the worlds biggest pumpkins to Scottish parades, there's always something going on in Bruce County. We are always looking for something to celebrate. Whether its taking pictures with big sand sculptures or soaking in the sun at the biggest beach party - it's worth celebrating! Check out our events and see what catches your fancy.